Come relax in our luxurious guest rooms and spacious suites, featuring authentic, local artwork, custom Italian linens, a selection of pillows, and plush bath robes that make it easy to unwind. Additional resort-style amenities include private balconies, cozy fireplaces, in-room spa services upon request, and a private butler’s pantry for room service and special deliveries, without interruption. 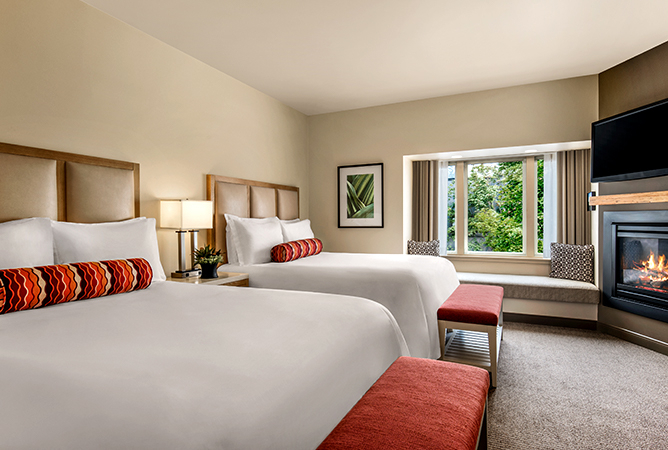 Our relaxing rooms come fully furnished with colorful local artwork and contemporary decor, choice of one king or two queen beds, private butler’s pantry, and thoughtful amenities like fine linens, a pillow menu, and Starbucks coffee. 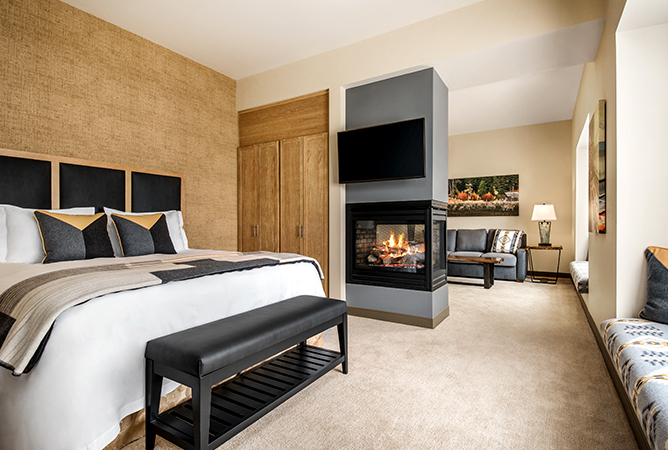 Our luxurious and spacious suites come with plush king beds, cozy fireplaces, flat-screen TVs and spa-like amenities, including custom Italian linens and pillow selection, double vanities, and walk-in showers with Aveda bath amenities.